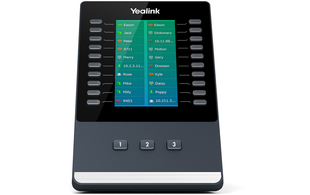 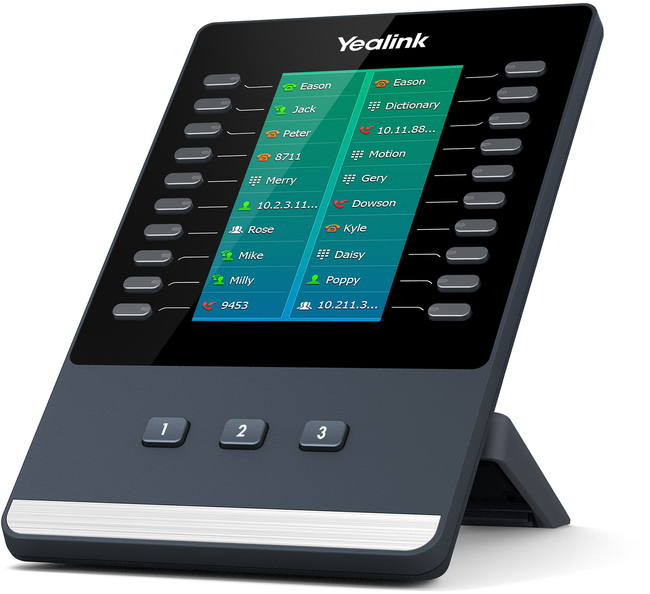 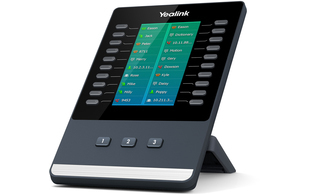 The Yealink EXP50 expansion module is designed to be used with the Yealink T5 Series of IP deskphones. 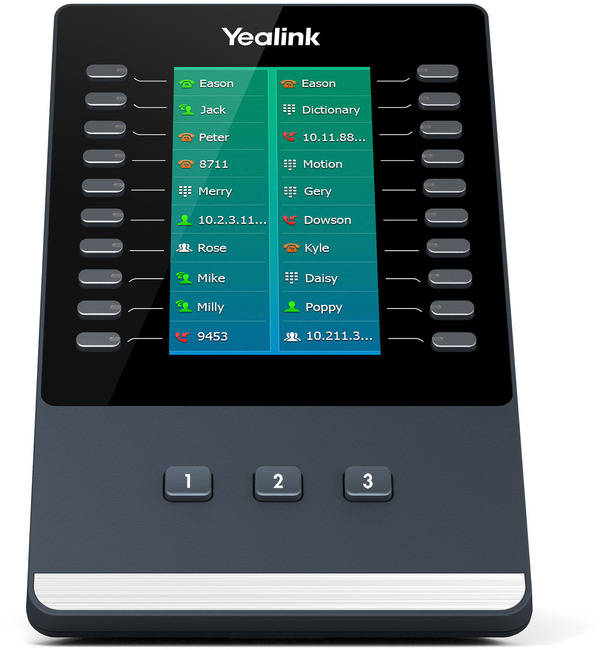 Compatible with the T52S, T54S, T56A, T58A and the T58V, the EXP50 enables users to expand the functional capabilities of their phone. 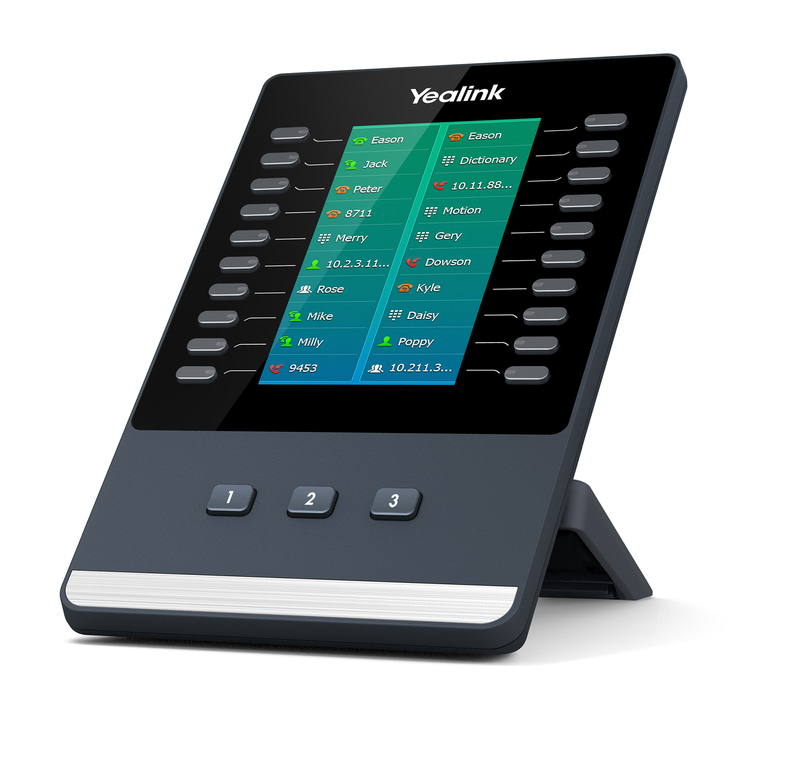 With a large 4.3" colour screen LCD display, the EXP50 offers a rich visual display with the ability to add an additional 60 features across 3 pages of 20 programmable buttons. 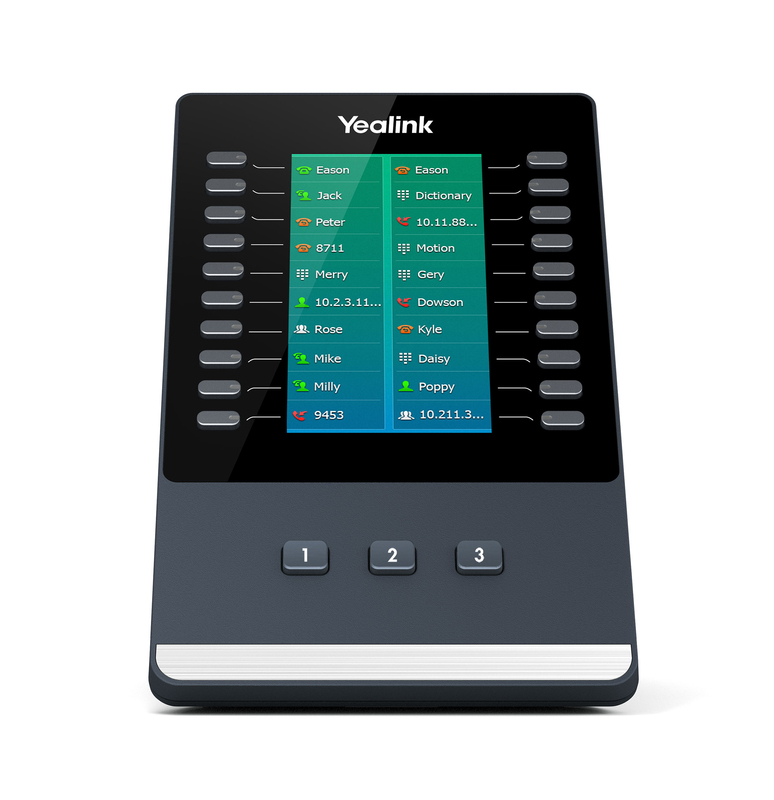 Plus, with the option to daisy chain up to 3 expansion modules, users have the option to add up to 180 additional features in total.